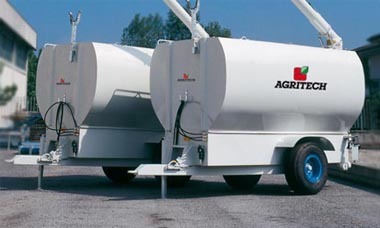 Agritech Slovakia supplies a series of truck tanks in pressed ste el plate, which ore very suitable for the transport of animal feed and cereals. The screw conveyor for feed extraction is operated by on hydraulic system connected to the tractor. The screw conveyor can turn 360° and the height of the outlet from earth ranges from m 3,0 to 8,50 m.